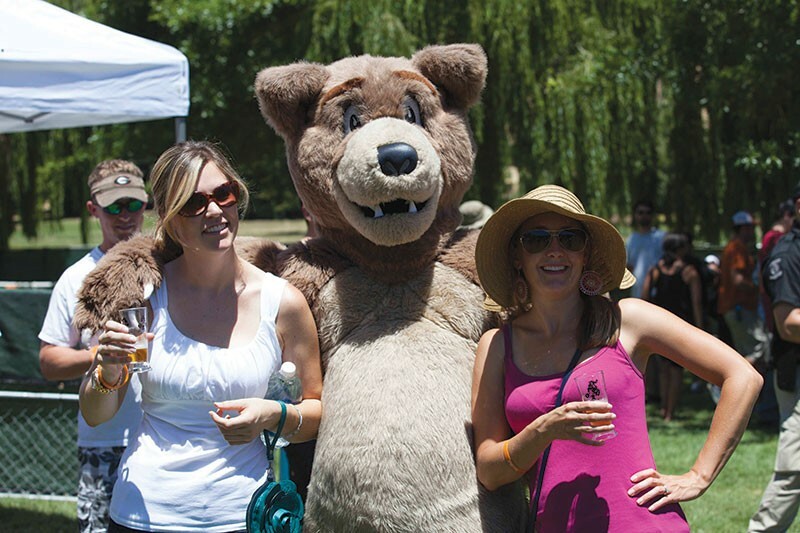 Keep your eyes open this weekend for Burt, the hearty and bouncy brown bear who's often spotted wandering the grounds at the California Beer Festival. The high-fiving beer enthusiast can often be seen sipping among the 70 plus craft beers on tap. Breweries from near and far are participating in the juried competitive tasting, with even a few standout Oregon crafters making an appearance. In fact, last year's Best Brew Overall was awarded to the Believer Double Red Ale from Eugene, Ore.'s Ninkasi Brewing. This year, the festival's own signature Burts Honey Wheat Beer joins the throng of hopeful brewers looking to bring the award back to the Golden State. When Burt isn't tasting brews, he can be seen dishing out and scarfing down Hawaiian barbecue and garlic fries from a variety of local food offerings. After he's done satisfying his hunger, Burt then heads down to the live music stage and dances his scruffy tail off. This year's fun and lively lineup features dub rockers IrieFuse, classic rock mimics the Unauthorized Rolling Stones and rad new wave rockers the 85's. If you see Burt the Bear, remain calm, grab a tasting cup and go in for the bear hug—it's his only weakness. Burt, beers and music come together for an afternoon of premier beers in a beautiful outdoor setting. The California Beer Festival takes place on Saturday, June 28, at Stafford Lake Park, 3549 Novato Blvd., Novato. 12:30pm. $45–$65. Tickets available online and at HopMonk Novato. 415.892.6200.